I've been a long time Modcloth customer. I wish I could spend more money on their gorgeous dresses but usually have to wait until their "Cabin Fever" sale to stock up on pretty things. Well last week I got a nice pay so I decided to treat myself to some lovely items. This time it felt like accessories were the order of the day. 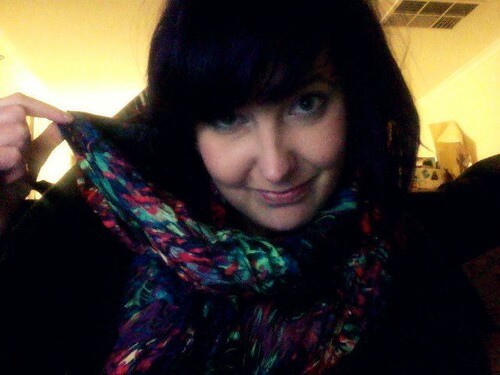 I'm a scarf fiend so getting two new beautiful huge scarves is almost the best thing ever. 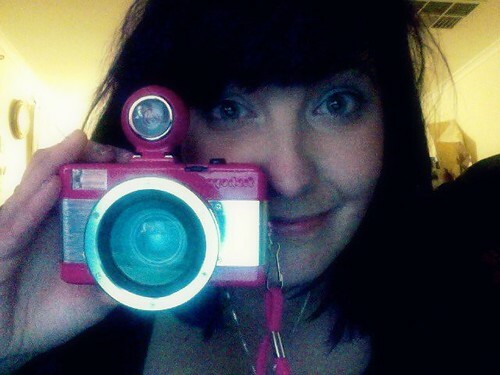 ** Fisheye 2 Lomography Camera ** I can't wait to PLAY! 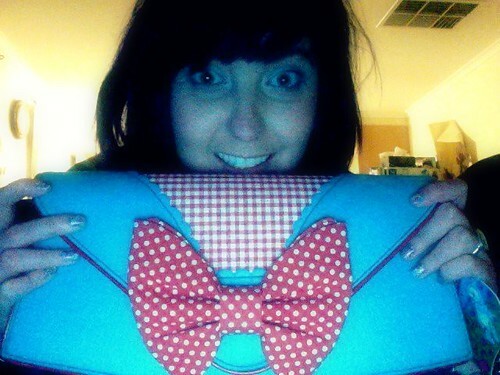 This bag is by far the exact reason why I placed the order last week (*note the crazy eyes*). I have the bigger version of this bag that I bought in London at their Carnaby Street store last year on my Glastonbury adventure. I love Irregular Choice - so much so that this year when I travel back to the USA we've decided to include a return to New York so that we can re-visit the amazing store they have there. 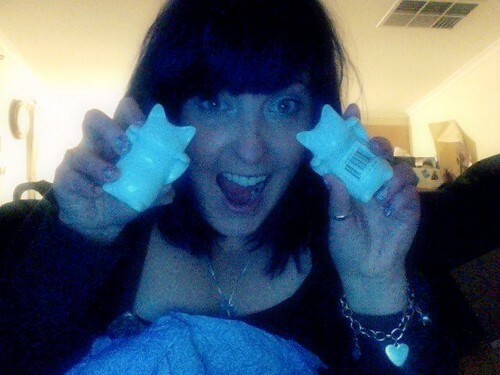 ** Twin Tabbies Shaker set ** I couldn't resist - SRSLY can you blame me? 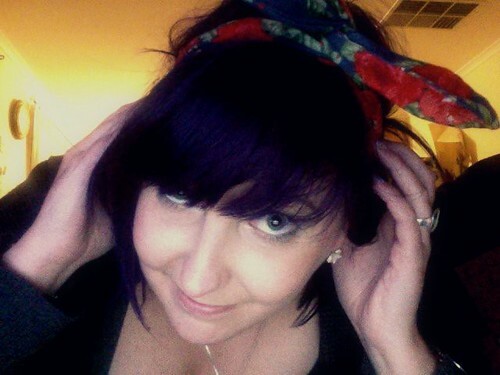 I couldn't wait to share my newest purchases so I used photo booth on my Macbook to take the photos. 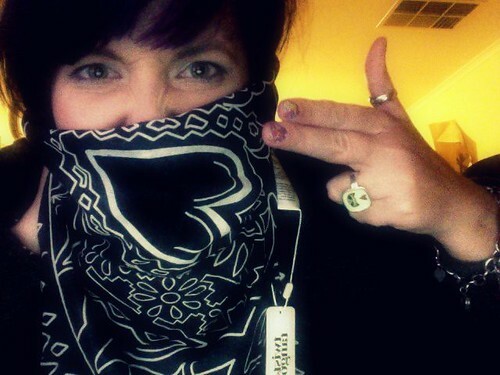 I can't wait to wrap up myself up in these new scarves and run around taking crazy fish eye photos. It's getting colder so it was the perfect time for these lovelies to make their way into my life. Ok I'm off to watch the opening scene from Harry Potter & The Deathly Hallows Pt 2. How you ask? I just bought Part 1 on blu ray and IT'S A BONUS FEATURE. 'Scuse me as I freak/nerd out for a bit here.